We reported on this great DVD release a few days back (see our earlier news for full details), but we've just heard that the main men from the cult TV show will be making a live in-store signing appearance early next week. 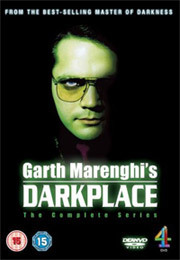 So if you're around Virgin Megastore in Piccadilly Circus London this on Monday October 16th at 6pm you can get the new Darkplace DVD signed by Garth Marenghi, Todd Rivers and Dean Learner! Also, stay tuned to this website for an exclusive interview with the main man, Garth Marenghi himself - coming soon. 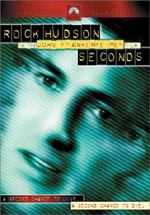 The 4-Disc DVD is released, fully restored and re-mastered, on October 16th, priced at £19.99. - Backstage footage shot by Marenghi’s wife, Pam. The DVD also includes an exclusive souvenir brochure.